The Kreditanstalt für Wiederaufbau (KfW) was founded in 1948 after the second world with the aim to finance the reconstruction of the German economy. 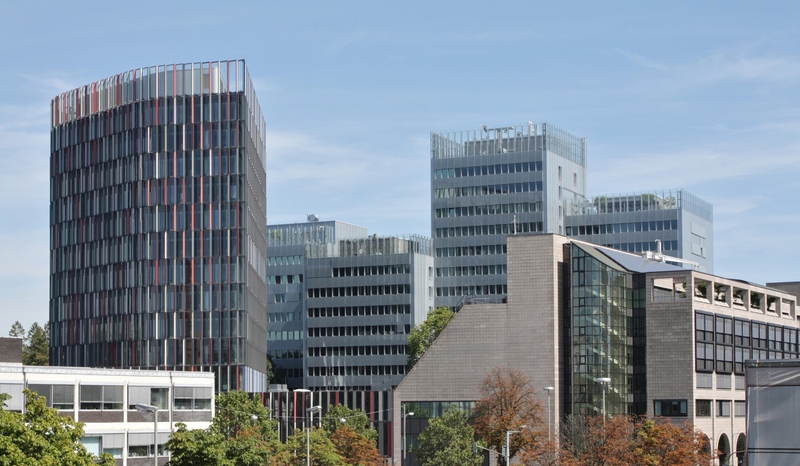 Today it is the largest national development bank in the world with headquarters in Frankfurt / Main and branch offices in Berlin, Bonn and Cologne. Today’s tasks include the provision of investment loans to small and medium-sized enterprises and start-ups and financing in the housing, construction and energy saving. The locations Frankfurt and Berlin should be equipped with new conference systems. They were looking for a mobile, very flexible and reliable system, which can be stored in the media technology room after meetings for the next use. They decided in favour of the wireless Quinta conference system from beyerdynamic. 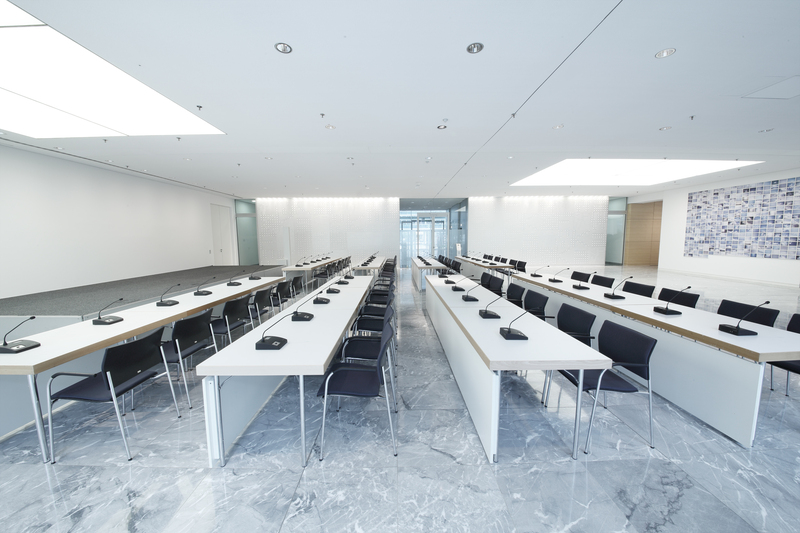 At Frankfurt the conference system is used in four different meeting rooms with a varying number of microphone units. There, meetings, video conferences, discussion rounds and evening events take place. 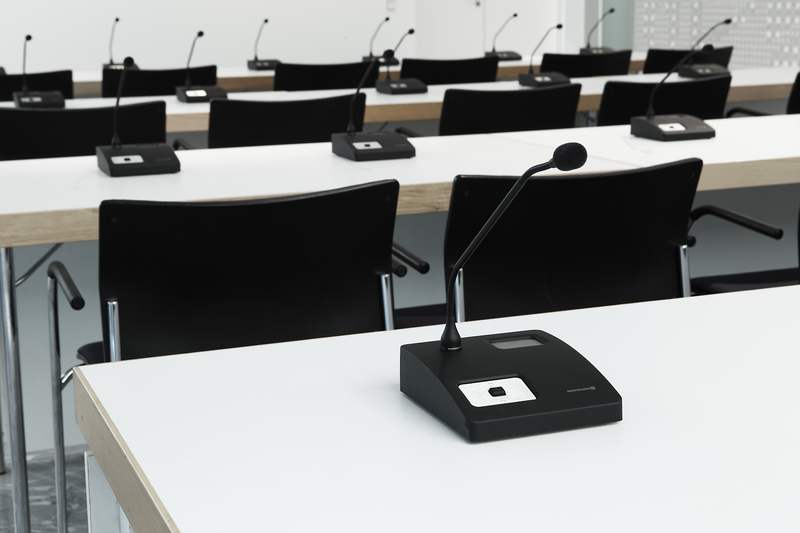 If a meeting takes place without conference system, the microphone units remain in the charging compartment of the transport and charging case and are ready for the next use. Sebastian Nessel (media and event department) says: “With Quinta we have a very flexible system in use which we can use in the four rooms depending on our requirements. As the rooms are not far from each other, it is possible that two or three events or meetings take place at the same time. It must be ensured that the systems do not interfere with each other. Due to the three frequency bands that Quinta has available this is no problem.” The transmission can take place via the three frequency bands 2.4 / 5.2 / 5.8 GHz. When the transmission channels are occupied or interfered, the system automatically selects new channels without interruption and completely silent. The KfW launched the program „Accessible town“, which supports municipalities, municipal enterprises and social organisations to increase the accessibility in public space, as well as in buildings of the municipal and social infrastructure. In events the TG 1000 digital wireless system is additionally used with handheld or beltpack transmitters and a clip-on microphone. The system ensures a secure audio transmission with an excellent sound quality.